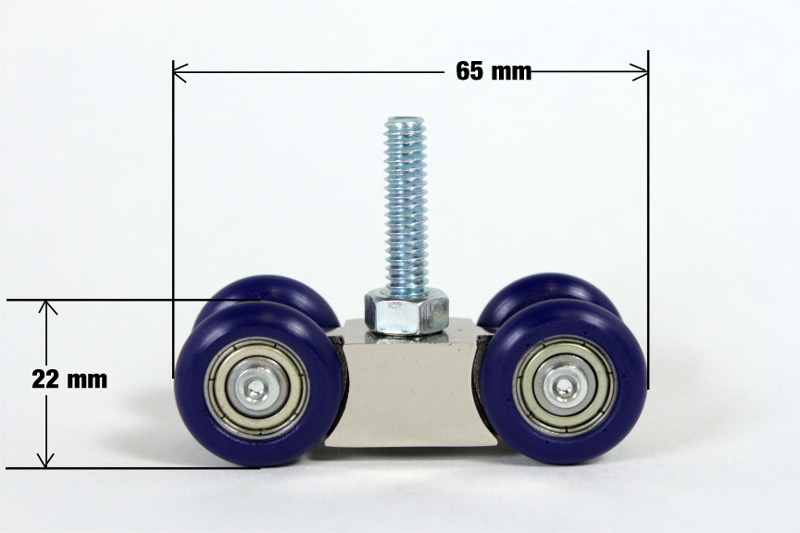 Our CW2 wheels are functional enough to be used in multiple types of projects such as creating your own dolly or any other DIY project while helping you stay on budget. They are designed to withstand weight up of 50 lbs. per carriage for a total of 200 lbs. for a set of 4. Each main support is made of zinc alloy and the ball bearing is made of carbon steel with injected polyamide. The thread inside the main support is 8mm. They run on 1” 1/4 size PVC pipes or bigger. When using a 8mm screw, you can run them on 3/4 size PVC. 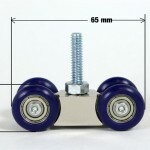 One wheel diameter is 22mm and 42mm from center of wheel to center of other. To view our product videos click here.